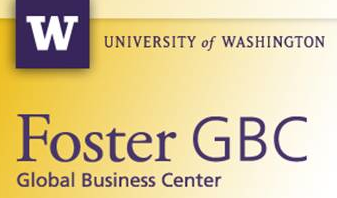 The UW Global Business Center is now accepting applications to our Global Social Entrepreneurship Competition(GSEC). GSEC is a competition for student teams that have a SOCIAL BUSINESS IDEA. Applications are due by November 12th, 2013, 5pm Pacific Time (Seattle, USA). Each year, 15-20 semi-finalist student teams worldwide are selected from the applicant pool, paired with mentors and are invited to participate in GSEC Week, February 24 – 28, 2014, in Seattle, Washington, USA. Throughout the process – from application to GSEC Week – students receive expert guidance, refine their business skills, develop their networks, and gain access to new resources. GSEC Week teams present to 500+ professionals and compete for monetary prizes, awarded to teams that develop businesses with the most innovative solutions to problems of poverty and the best integration of financial and social returns on investment. GSEC 2014 expects to award at least $30,000 in prizes. Visit our site and review the eligibility guidelines, confidentiality guidelines, and prize criteria. Apply by November 12, 2013! GSEC is open to currently enrolled students at any academic institution of higher education worldwide. GSEC business plans may focus on any subject area. Multi-disciplinary teams are strongly encouraged.